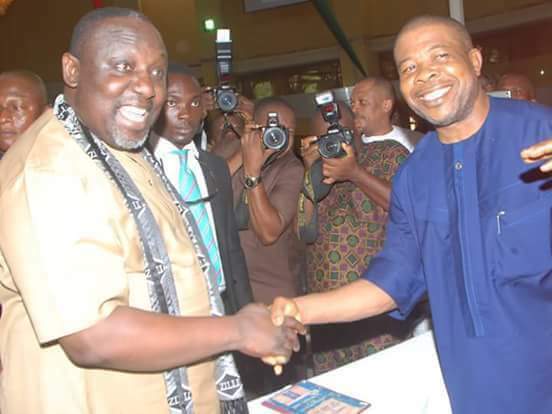 Stop transaction with Okorocha, Imo state governor-elect Ihedioha warns | Explore Viral World News And Politics - Europe & Middle East,Asian News,African News,US News. The Imo state governor-elect, Emeka Ihedioha, has warned financial institutions to stop new transactions with the state government, or do so at their own peril. Ihedioha, who said at a media interaction in Owerri on Thursday, said new transactions would increase chances of illegal activities and jeopardise the financial stability of the state, NAN reports. He said his duty and responsibility would be to ensure that citizens and residents of the state remained united and work together for the common good of the state. The governor-elect commended other contestants in the election for their “sportsmanship” and urged them to partner his administration to “restore the dignity of the state”. Dedicating his success to the “common men”, he commended the people for buying into his vision of realising a dream state and promised to work hard to justify their faith in him. He also commended the Independent National Electoral Commission (INEC) and security agencies for their roles in ensuring that the election was credible. He went on to outline plans to set up a transition committee to liaise with the outgoing government to ensure a smooth transition and chart a way forward for the state. He also promised to work out programmes, which would engage the youth as a way to end drug abuse and curb vices, starting with the rehabilitation of the four technical colleges in the state.